"The Shehnai and its master"
When his grandfather saw him for the first time, he uttered the words "Bismillah".  And that's how Qamaruddin became the famous Ustad Bismillah Khan. The man who made the humble shehnai a popular classical instrument,spreading its music all over the world. Born in a family of musicians in 1916,his ancestors filled the princely states of Bhojpur with their beautiful compositions. The music gene passed on to little Bismillah who mastered the artof playing the shehnai within a very short time. Soon he was travelling all over India and the world, giving performances and getting honoured with prestigious awards. He was graced withthe Padma Shri, Padma Bhushan, Padma Vibhushan and Bharat Ratna for his outstanding contribution to the genre of Indian classical music. 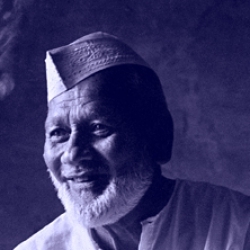 Despite allthe staggering success, Ustad Bismillah Khan was a pure artist, whose belief in music was above all material possessions. He is fondly remembered for playing the shehnai on the eve of India's independence in 1947. And ever since, he was bestowed the honour of performing every year at the Red Fort, right after the Prime Minister's official address. He loved his city of Varanasi and lived there till his last breath. His bond with his shehnai was even stronger. He called it his "Begum" after the demise of his wife. In 2008, the Ustad and his shehnai were buried with full honours in old Varanasi. A R Rahman who had previously worked with him on a south film a few years ago, was so inspired and paid homage through the songs of the film Raanjhanaa based in the heartland of Benaras, where Ustad Bismillah Khan hailed from. SoulPrints raises its hat to the Shehnai maestro. Wah Ustad!